Are you wondering what the chances of infection are after a tooth extraction? If you are getting ready to have a tooth extracted, rest assured that the chances of infection are low. That is if you carefully follow all of the post-operative instructions your dentist gives to you. 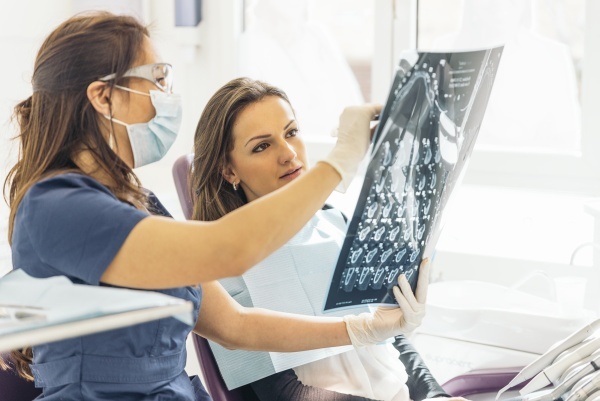 Tooth extraction is a standard dental procedure, with two of the more common reasons for extracting a tooth being related to severe tooth decay and tooth trauma. When a tooth is pulled it leaves a hole where the tooth used to be, which needs to clot to prevent an infection. The clot acts as a barrier to any outside elements that can cause potential infections. If for some reason the clot is not able to form, then the area is going to become prone to getting an infection. How does the infection after a tooth extraction start? A mouth infection can start when bacteria are allowed to enter the space where the tooth used to be. The infection begins once the bacteria gets into the bloodstream. It is crucial that all dental patients follow their dentist's post-op instructions very carefully to avoid infection. It is vital to keep the area clean of debris and is essential for preventing future infection. One of the more common reasons for why someone would experience an infection after having one or more of his or her teeth extracted is due to smoking too soon after having the procedure done. Smoking not only makes it more difficult for the body to fight off infection, but the act of smoking can also easily loosen the clot that is trying to form. When a tooth has been extracted, it is normal for the area to remain red and swollen for up to 48 hours. A little bit of bleeding is also normal and usually stops within eight hours of having the procedure done. The following are signs that someone may have an infection after having a tooth extracted. • Instead of the pain getting better from the extraction, it gets worse. • The bleeding continues for more than 24 hours. • Experiencing an unpleasant or foul smell coming from the mouth. • Seeing discharge in or around the area. • Any swelling of the gums does not begin to fade away after 24 hours. To get rid of infection after having one or more teeth extracted, it is necessary to see a dentist so that they can prescribe antibiotics. The dentist will need to first perform a thorough examination to understand precisely what is taking place in the patient's mouth of the time. They will then decide which antibiotic will best fit their particular patient's infection-fighting needs. Think you have an infection? 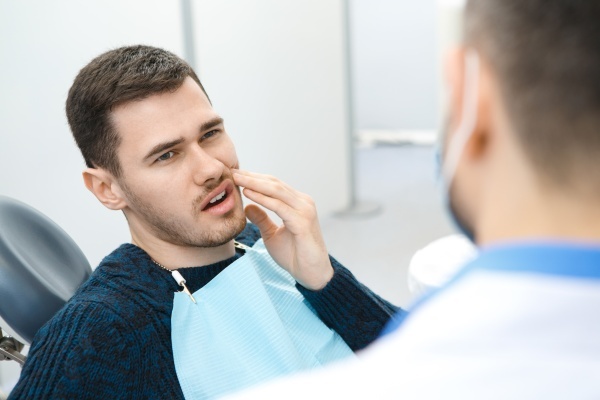 Whether you think you might have a tooth infection or are just looking for some beneficial information on what happens when you get your teeth extracted, we hope that you will give us a call so we can help you. Any kind of mouth infection is dangerous and therefore should be seen by an experienced dentist as soon as possible. If you need to make a consultation appointment, give us a call!